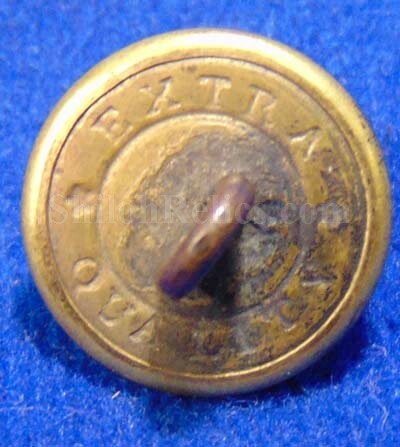 This is a beautiful original cuff size state of Maine 3 piece staff officer uniform button. This is the classic style that you see excavated in campsites occupied by the soldiers from Maine. The face has the state seal of Maine with no pushes at all. As you can see it still retains a small amount of the original gold gilding from the factory. The original back and shank are present with the correct Civil War backmark of "EXTRA * QUALITY *”. 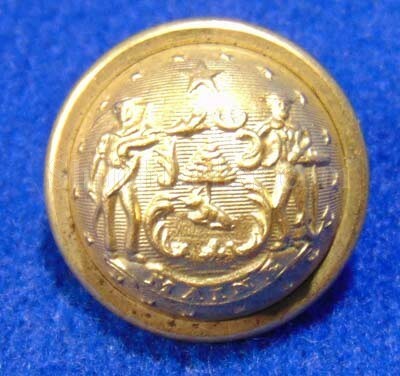 This is a nice original non-excavated cuff size of the Maine state seal. 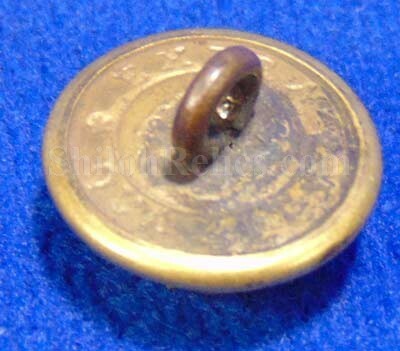 This is the version listed as ME1av in Albert’s Button book and as ME200As7 in Tice's button book. This is a great button for your collection.